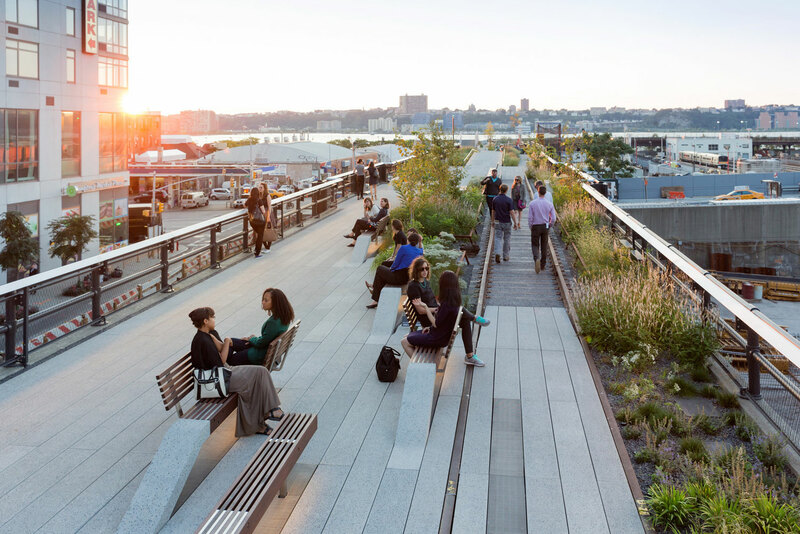 The High Line: Fifteen years in the making, the final stretch of New York’s High Line opened last year, transforming what was once a derelict overhead railway into an urban park. Starting at Gansevoort Street in the Meatpacking District, the High Line now runs up to 34th street, finishing where the rail line once terminated at Hudson Yards. Along the final stretch known as the Rail Yards section, you’ll encounter the 11th Avenue Bridge (an elevated catwalk where you can take in views over the city skyline and Hudson River) and Pershing Square Beams (a children’s play area crafted from the original line’s beams and girders). The rest of the High Line has been adorned with trees, grasses and various other plants, making it an increasingly popular place for art installations, events and relaxing for locals and visitors alike. 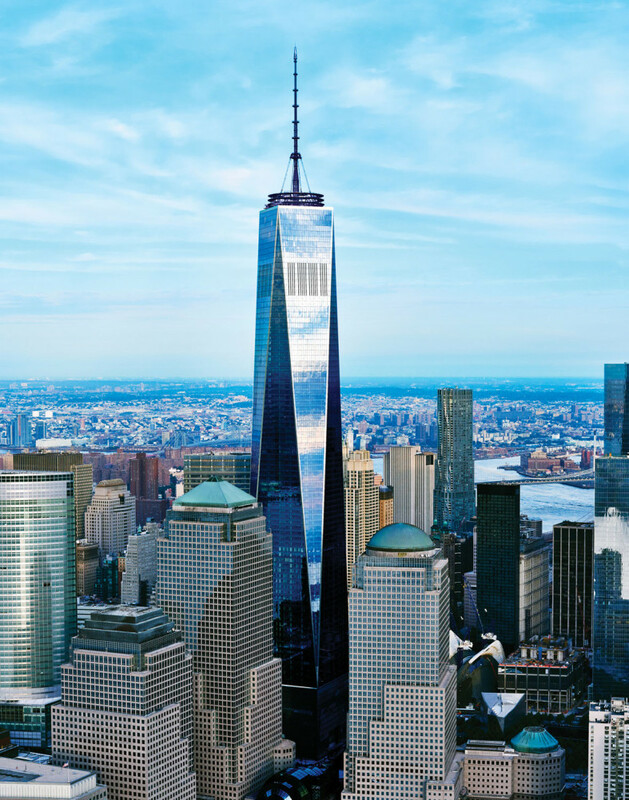 One World Observatory: Overlooking where the World Trade Center once towered above Manhattan, the glistening new One World Trade Center erupts 541 metres into the sky, making it the tallest building in the Western Hemisphere. Atop it is the One World Observatory, which only opened May 29, 2015. Here visitors are treated to a series of electronic installations and presentations – the most impressive during the 60-second elevator ride to the observatory, where floor-to-ceiling LED technology plays a virtual time-lapse that recreates the development of New York City’s skyline from the 1600s to present day. Once at the top, expansive, 360-degree views in all directions await, as does a selection of eateries from casual café fare to seated fine dining. 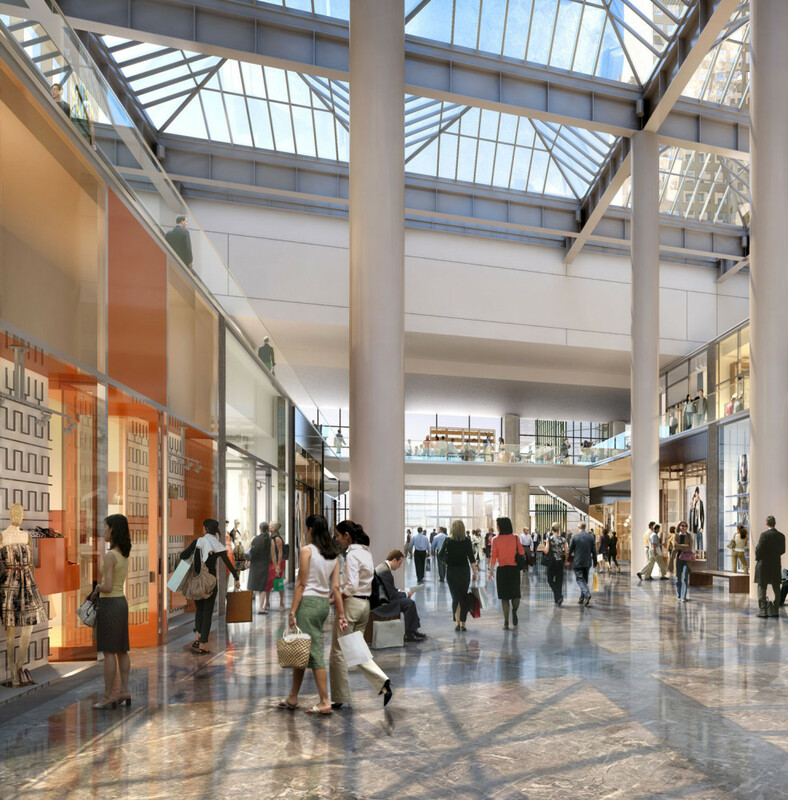 Brookfield Place: A new retail and dining hotspot in Lower Manhattan, Brookfield Place features standout names from the upper reaches the fashion spectrum such as Burberry, Hermes and Diane von Furstenberg, through to Theory and Lululemon. Equally impressive as the lineup of shiny shopfronts is the gastronomic options, including a French-inspired marketplace called Le District and six critically acclaimed restaurants. There’s also a healthy mix of amenities too, including an Equinox fitness club and the Institute of Culinary Education. 9/11 Memorial and Museum: A tribute to the lives lost, the bravery of rescue personnel, and the ongoing implications of the September 11 terrorist attacks, this is one landmark that should be on every traveller’s New York itinerary. The memorial, opened since 2011, comprises two reflecting pools that sit within the footprints of where the Twin Towers once stood, featuring the largest manmade waterfalls in North America. The edges of the pools are inscribed with names of every person killed in the terror attacks of September 11, 2001 at the World Trade Center, near Shanksville and at the Pentagon, as well as the six people killed in the World Trade Center bombing in February 1993. The nearby museum, which has only recently celebrated its first birthday, covers over 10,000 square metres of exhibition space, filled with multimedia displays, archives, narratives and a collection of monumental and authentic artefacts. A moving experience worth the visit. You’ve braved Times Square, been atop the Empire State building and walked through Central Park – so what next? Overlooking where the World Trade Center once towered above Manhattan, the glistening new One World Trade Center erupts 541 metres into the sky, making it the tallest building in the Western Hemisphere. Atop it is the One World Observatory, which opens May 29, 2015. Here visitors are treated to a series of electronic installations and presentations – the most impressive during the 60-second elevator ride to the observatory, where floor-to-ceiling LED technology plays a virtual time-lapse that recreates the development of New York City’s skyline from the 1600s to present day. Once at the top, expansive, 360-degree views in all directions await, as does a selection of eateries from casual café fare to seated fine dining. 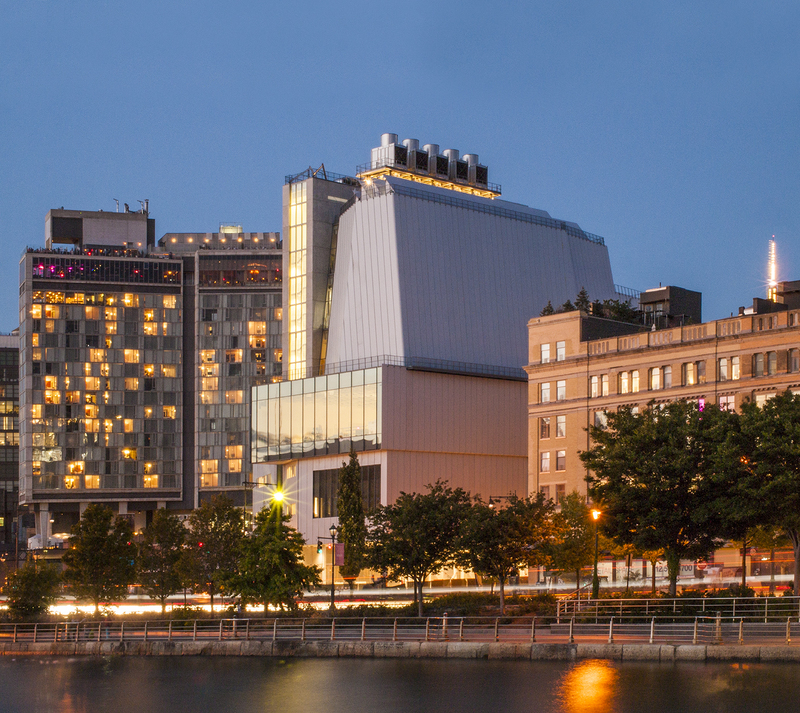 After spending 40-odd years at an Upper East Side address, the Whitney Museum of American Art has recently relocated again to downtown Manhattan – where it was originally founded in 1930 by artist and philanthropist Gertrude Vanderbilt Whitney. It’s a momentous move for iconic art museum – dedicated to American artworks from the 20th and 21st centuries – which has doubled the exhibition space available for its several thousand paintings, sculptures, drawings, prints, photographs, films, videos and new media. A new retail and dining hotspot in Lower Manhattan, Brookfield Place features standout names from the upper reaches the fashion spectrum such as Burberry, Hermes and Diane von Furstenberg, through to Theory and Lululemon. Equally impressive as the lineup of shiny shopfronts is the gastronomic options, including a French-inspired marketplace called Le District and six critically acclaimed restaurants. There’s also a healthy mix of amenities too, including an Equinox fitness club and the Institute of Culinary Education. Fifteen years in the making, the final stretch of New York’s High Line opened last year, transforming what was once a derelict overhead railway into an urban park. Starting at Gansevoort Street in the Meatpacking District, the High Line now runs up to 34th street, finishing where the rail line once terminated at Hudson Yards. Along the final stretch known as the Rail Yards section, you’ll encounter the 11th Avenue Bridge (an elevated catwalk where you can take in views over the city skyline and Hudson River) and Pershing Square Beams (a children’s play area crafted from the original line’s beams and girders). The rest of the High Line has been adorned with trees, grasses and various other plants, making it an increasingly popular place for art installations, events and relaxing for locals and visitors alike. A tribute to the lives lost, the bravery of rescue personnel, and the ongoing implications of the September 11 terrorist attacks, this is one landmark that should be on every traveller’s New York itinerary. 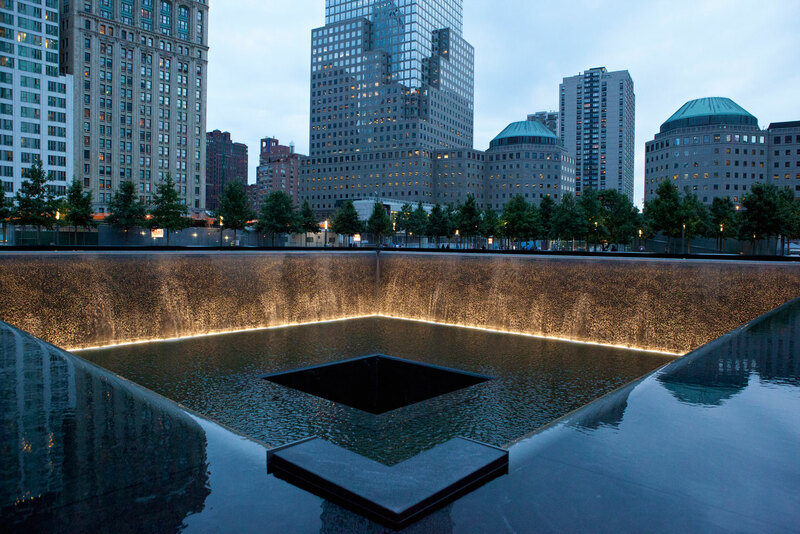 The memorial, opened since 2011, comprises two reflecting pools that sit within the footprints of where the Twin Towers once stood, featuring the largest manmade waterfalls in North America. The edges of the pools are inscribed with names of every person killed in the terror attacks of September 11, 2001 at the World Trade Center, near Shanksville and at the Pentagon, as well as the six people killed in the World Trade Center bombing in February 1993. The nearby museum, which has only recently celebrated its first birthday, covers over 10,000 square metres of exhibition space, filled with multimedia displays, archives, narratives and a collection of monumental and authentic artefacts. A moving experience worth the visit.